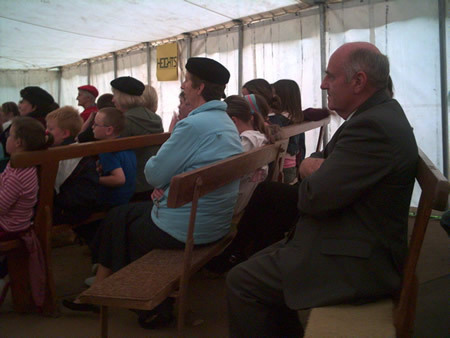 Background: From 11th - 15th September Coleraine Free Presbyterian Church held a children’s tent mission on the church grounds. Mr Colin Tinsley, a youth worker with the Free Presbyterian Church conducted the meetings. During his visit to Coleraine Colin Tinsley had opportunity to visit some eleven primary schools in the area and took part in their Assemblies.